Nerja is located to the far East of the Costa del Sol, in fact, geographically speaking; it is the start of the Costa del Sol which runs some 165km (100 miles) or so up to Gibraltar. Nerja over the decades has become a great attraction for tourists from all corners of the globe, from Europe in particular. 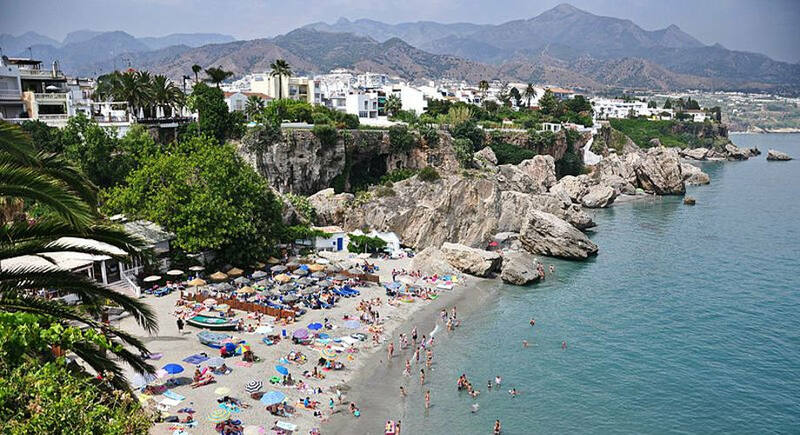 The sandy beaches, quaint and typical once unspoilt Spanish pueblo way of life, the Balcon de Europa as well as its caves have made Nerja a hot spot for tourists wanting to visit as well as wanting to stay in one of the many hotels and guest houses in and around Nerja. The caves stretch for nearly 5 km, one of its chambers is used for regular concerts; its shape is pretty much a natural amphitheatre. These caves which are millions of years old are relatively new discoveries dating back to as recently as 1959 when five friends discovered a sink-hole. Later on in 1960, a proper entrance was created to allow visitors in. In February of 2012, there was an announcement that paintings perhaps from Neanderthal times had been discovered in a cave, watch this space for further information…. The Balcon de Europa or Balcony of Europe is a fortress designed to keep pirates at bay, British ones mainly, today, it is a major tourist attraction for thousands of visitors wishing to take in the outstanding views from the mirador (view point). While walking around the centre of Nerja, you will be reminded of times gone bye, lovely architecture, the plaza as well as the narrow winding streets on the outskirts of the town. 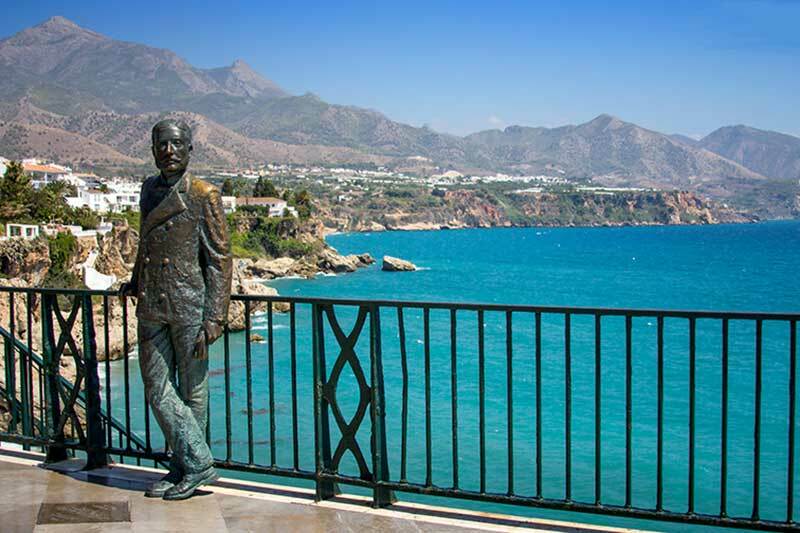 For those planning to go on holiday to the Costa del Sol, Nerja is certainly well worth a visit, the road to it is great, it will take you approximately 45 minutes or so from Malaga, it is a few km past Velez Malaga. Those in search of property for sale, you may need to take into consideration the influx of tourists during the summer time, of course, this brings money to the area but also congestion to the streets, as well as parking becoming an issue during peak season. If this may be a problem then there are some lovely villages within the close proximity, for example within the area of Axarquia. The area of La Axarquia offers a mixture of easy accessibility along with quiet countryside, white-washed villages, a wealth of nature and some of the most spectacular views on the Costa del Sol, particularly from the town of Comares which is perched on the top of the hill with commanding views of the Mediterranean coast-line as far as the eye can see!